Fixing gaps and wear on Cheryl's upper teeth gave her a bright new youthful smile! 1. Why was Cheryl a good candidate for these procedures? Cheryl was very motivated and considered all treatment alternatives. 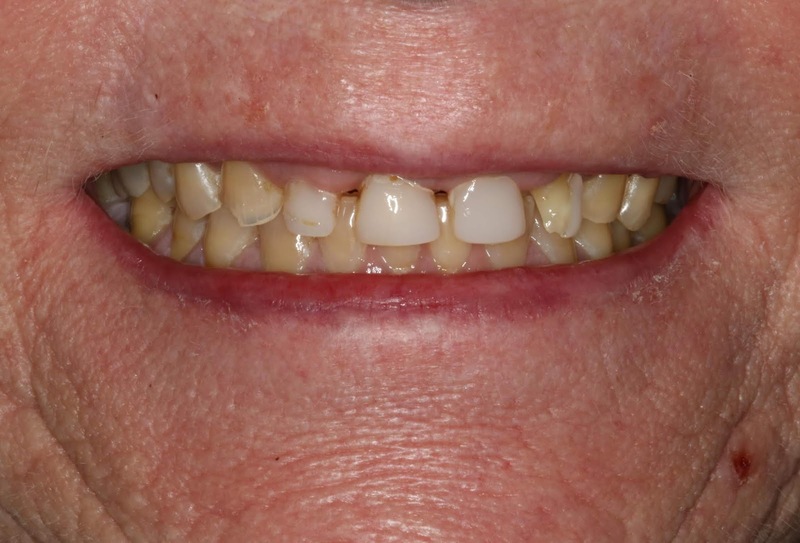 She wanted to correct her smile but when presented with the treatment plan that was based on the protection of her front teeth by building strong back teeth, she took to the idea. 2. How did you develop a plan for treating Cheryl's concerns? Records are always critical to the creation of a treatment plan that is customized to our patients needs. Comprehensive photos, models and X-rays are critical in presentation to the patient, other adjunctive professionals and our lab technicians. A temporary mock up was also used on this case that gave us and the patient a clear picture of what the final outcome would feel and look like. The above shows the extensive wear on the inside of Cheryl's upper teeth. 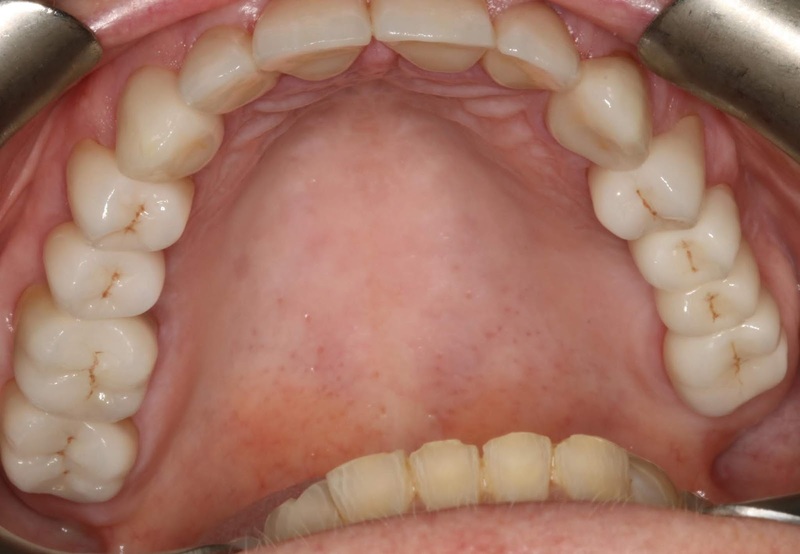 The above shows the post-treatment crowns. 3. Was her treatment out of the ordinary? There really is no such thing as “ordinary treatment”. Every case presents with complexities that are unique to that case. In this case, the posterior teeth were in rough shape due to erosion and bruxism( grinding). 4. How long did (Patient’s) transformation take? A few months and approximately 5-6 appointments. 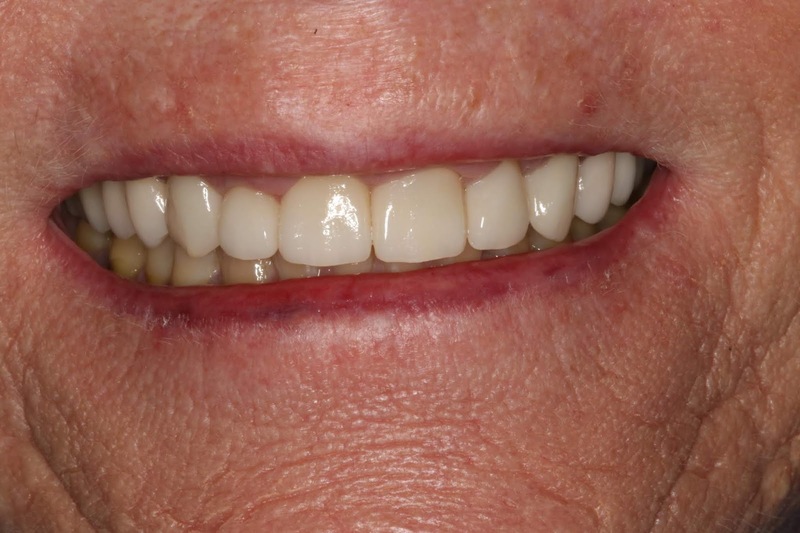 Anterior view of Cheryl's front upper teeth prior to crown placement. Anterior view of Cheryl's front upper teeth post-treatment with porcelain crowns. 5. Are there any at-home steps patients should follow after procedures like these? For most patients with extensive dental care we recommend the use of a night guard to protect the teeth and the dental work at night time. This decreases wear and tear and protects her teeth while the patient sleeps. Read what Cheryl had to say! 1. What made you decide to undergo these procedures? Due to years of erosion and night grinding I was told that I was going to start losing my teeth. I had so many spaces between my front teeth that I was self conscious about smiling. 2. Why did you choose Dentistry on Dundas/Dr. Librach? I had been told that he was really good. 3. What were your procedures like? I am very nervous about going to the dentist to have anything done. I gag easily and feel claustrophobic when things are put in my mouth. A couple of the procedures were very long appointments. Dr. Librach and Joan were awesome, gentle and understanding. The procedures were basically pain free. 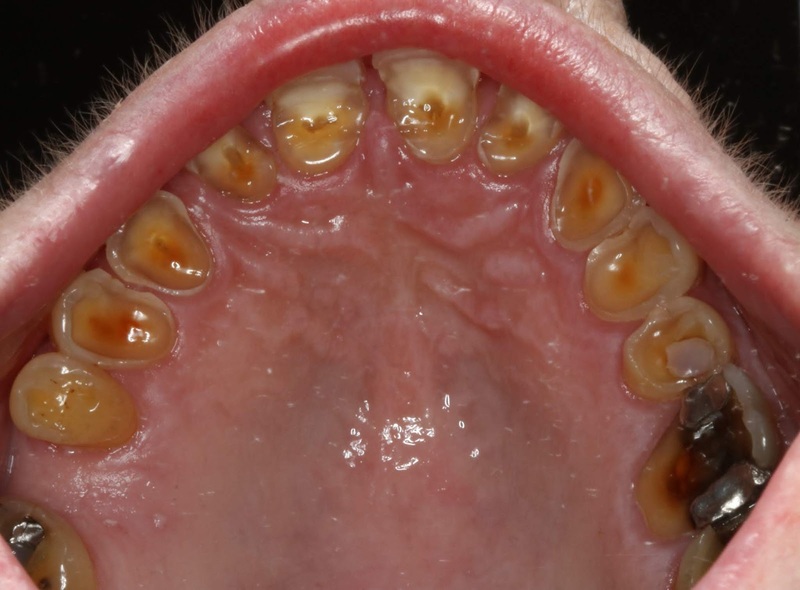 Dr. Librach did his best to ensure that things were removed from my mouth as quickly as possible and was always checking to see if I was comfortable. Both were willing to answer any questions I had too which I appreciated. 4. How do you feel about your results? Great!! I have had many positive comments and now I can smile again! !